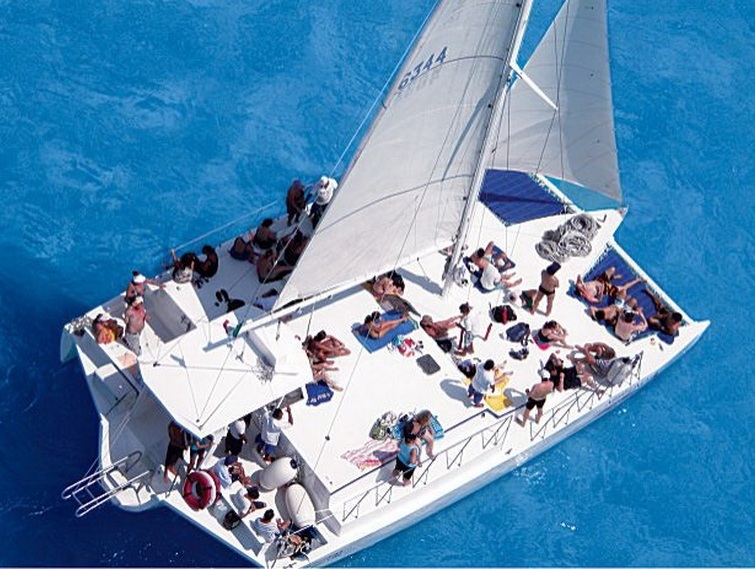 Jaital's customizable private catamaran charter cruise in Ocho Rios is an excellent option for family and friends. 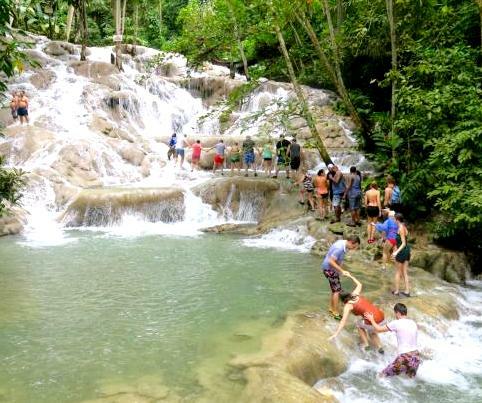 Your group will climb aboard a sleek cruising catamaran for an adventurous ride to the flowing cascades of Dunn's River Falls. 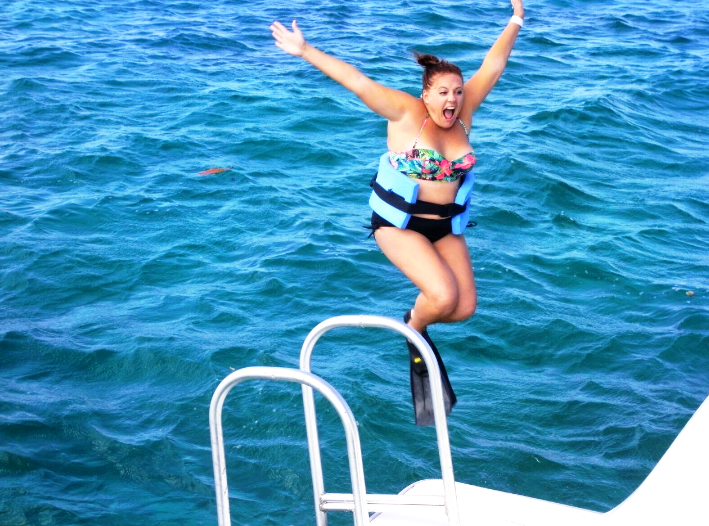 Stop to snorkel and Swim in a picturesque lagoon among schools of tropical fish, admire magnificent views of the Ocho Rios shoreline. Sip rum punch and groove to the beat of your favorite music on board. 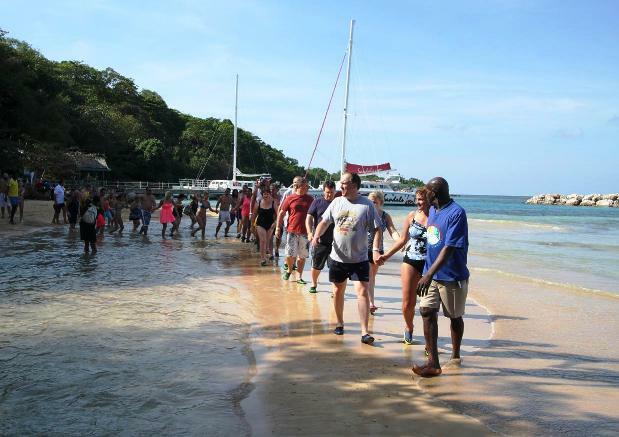 Ideal for groups of 10 or more, Ocho Rios private catamaran charter provides the perfect way to experience the waters of Ocho Rios Jamaica in style, comfort and privacy. Choose from a variety of options to meet your groups interests and needs. • This charter includes an optional stop at the renowned "Margaritaville" located at Island Village Shopping Center in Ocho Rios. 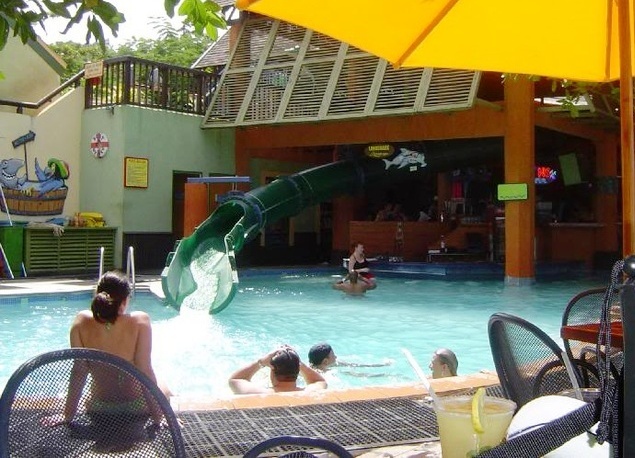 Relax on the beach, listen to his music, swim in the pool, slide down the water slide and more. Access to Margaritaville from boat will require getting wet. 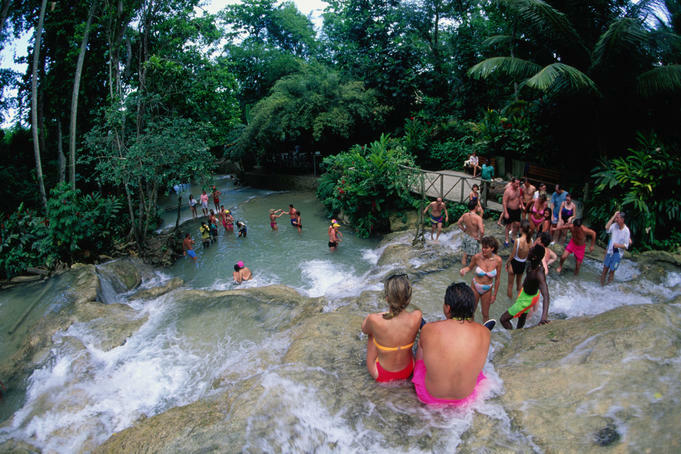 *Margaritaville stop with Dunn's River Falls add-on will require extra boat time. The time on the boat with the crew was great. They were all very attentive and very helpful while snorkeling. The captain kept us all safe and added to the fun. I highly recommend your service to others. We are extremely pleased with our excursion with Jait'l. We hired a private catarmaran for a family celebration which included 3 generations and grandchildren. 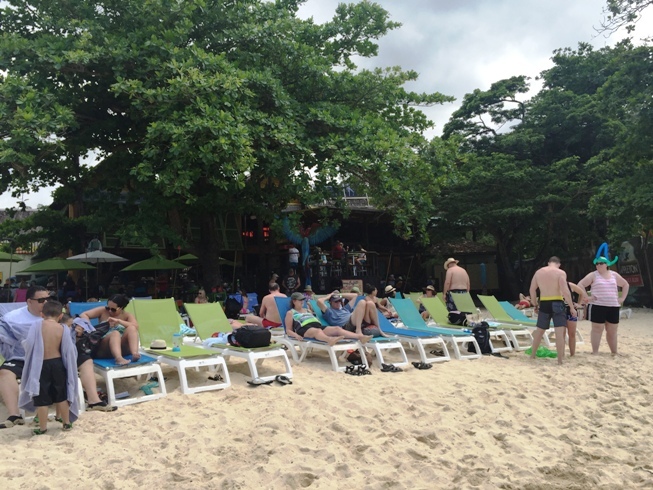 We included the Dunn's River Falls,Food and snorkeling. The entire crew was welcoming as well as fun and this added greatly to our experience. One of the highlights for all of us was dancing on the boat with the staff leading us. It was a lot of laughs.Our Twelve year old granddaughter said she couldn't imagine anything better than that!! 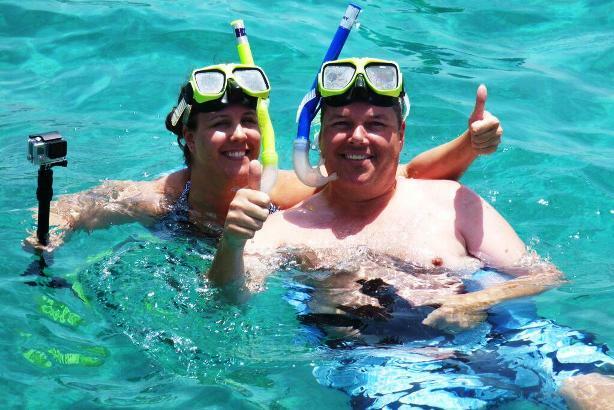 Our entire family considers our catamaran experience was one of the top highlights of our week in Jamaica. Thanks again to the staff for making it so. We had a great experience from beginning to end with Jaital. I called and emailed with questions and spoke to an agent who guided me through the options for our group private booking. We ended up doing the Blue Hole, a privately chartered catamaran to Dunn’s river with a jerk chicken lunch and drinks onboard. Our driver and catamaran crew were amazing and took care of our every need. After a fantastic start at the Blue Hole we were driven to our catamaran where we had time to snorkel and relax. 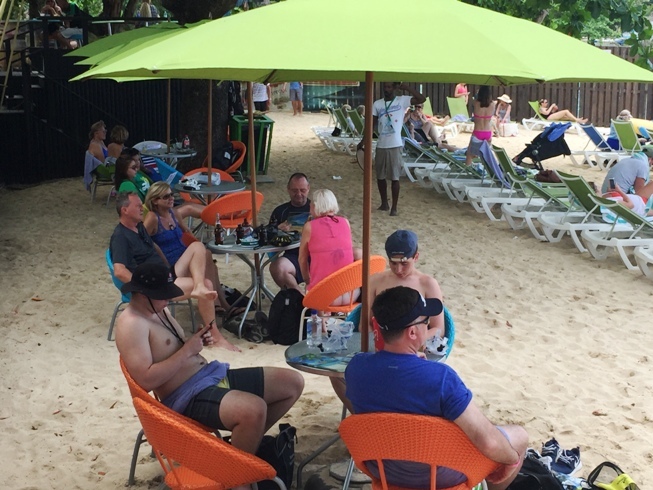 The staff of 7 took care of our party of 11 in every way by offering drinks, snorkeling gear, while we sailed off to Dunn’s river falls while enjoying a Jamaican jerk chicken lunch that was delicious. After our climb up and back from Dunn’s river falls we boarded the catamaran and danced the whole way back. Again, the rum punch was flowing and everyone was having a fabulous time! I would highly recommend this private charter for any group. They can handle a small or large group and do it with smiles and genuine care throughout your excursion. This was the highlight of our week! IT WAS AWESOME! The crew was wonderful and had a great afternoon! We had a great time on the Cat the staff was above excellent and the setup was grand and major fun for all, including the staff I think!!! Thanks overall for also being patient understanding and cooperative about this particular sailing we should have had a lot more people but this is the way it turned out! All in all, fabulous, thanks again!!!! Our trip was amazing!!! It was a good day and boat staff was very attentive. The lunch was excellent! We are so happy we booked the private catamaran cruise. They pick you up from your Hotel and take you on the boat. 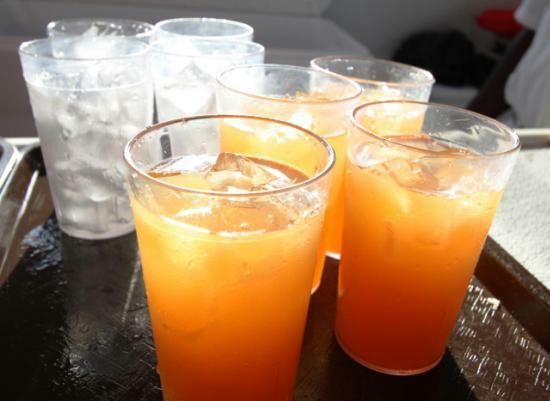 The cruise includes rum drinks that the crew keeps refilling, once you are finished snorkeling. We included Jamaican lunch and the food was hot and delicious! A memorable experience. 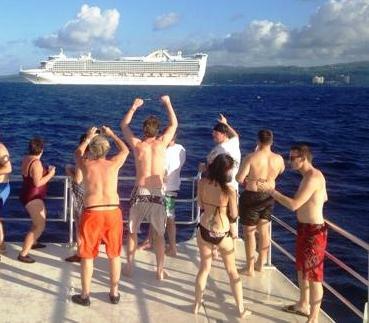 Our family arrived on the carnival cruise into ocho rios and we wanted to do something fun as a group. We did our research and found Jaital, after many e-mail exchange we were satisfied and ready to book. We were glad we found them! It was great day out on the catamaran, crew and captain were really wonderful people, they were extremely helpful and patient with our grandson who was not an experience swimmer. Food on board was really nice and drinks all inclusive. It was a very enjoyable trip and would recommend it to everyone. As a big group of 30 we wanted to chose something that everyone would enjoy. We booked the Private Catamaran Cruise. The tour was exactly as advertised. The price was far less than others we have seen and the service was outstanding from our driver who picked us up from our hotel to the boat people. Those traveling with young children - I would highly recommend. The staff are clearly trained in snorkeling and taking care of children as they instantly provided a safety vest for everyone. The food was delicious! The drinks were in abundance! Everyone agreed that this was the highlight of our trip! Everyone in our group thoroughly enjoyed our Private Catamaran cruise. Our experiences with Jaital was nothing but the best from start to finish. We chose to add food and extra drinks. The food was delicious and the drinks were excellent! The crew was very friendly and engaging. 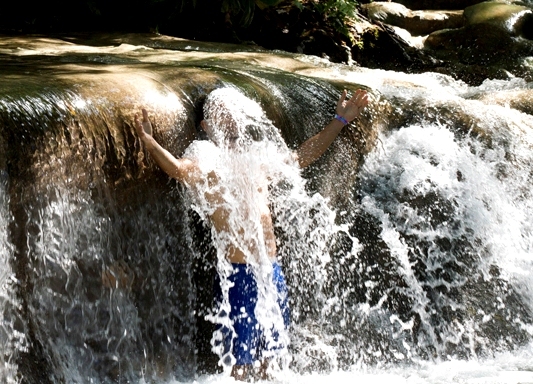 We also chose to climb Dunn's river falls and were very happy we did, the snorkel experience was stunning! Near the end, we had a dance party that was truly Caribbean style. We all had a blast! Truly a fun trip! The crew were wonderful. Friendly and extremely attentive. Our experience with the driver was also pleasant. Would do the trip again! The trip was awesome! We had a great time and the staff was friendly, fun and accommodating! We had made some personal adjustments to the usual and all was delivered! Everything was just how we set it up! Would I recommend Jaital- YAH MON! We were having a family reunion in Jamaica so a very large group of my family was here. We decided to have a "cousins cruise" on the private chartered Catamaran. We had a group of 25 people and each and every one of us had a BLAST! The crew on board took very good care of us! The snorkeling was so fun, and the drinks were flowing the entire time. We told the DJ we wanted to hear current dancehall and he delivered. We purchased all of the professional pics they took and the photographers put them on a flash drive for us. It was definitely an unforgettable experience and I will be recommending this company to my friends and family!